Intoducing a RPG mod, called The Legend of Notch 1.3.2 which adds many new features to Minecraft, will have to start 11 new types of armor, 110 new weapons, 20 new mobs, and 45 elderly (black magician, magician wise , etc.) and underground dungeons. This mod also generates cities with their citizens, with which we can negotiate or steal. These cities are governed by a king who will give you missions done. This is a mod which is under development and this is a test version before the final version for Minecraft 1.3.2, so we recommend to make a copy of you .minecraft file before installation. How to install The legend of Notch Mod for Minecraft 1.3.2? 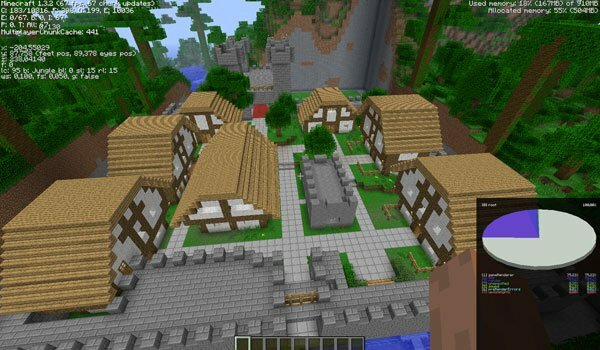 Use a basic installation of Minecraft (no mods, no extras). Enjoy new adventures in Minecraft!